with them and am hoping to do another one very soon." 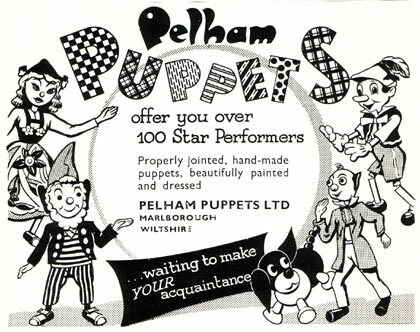 Pelham Puppets were commercially manufactured puppets, produced in Marlborough, Wiltshire from a factory set up by Bob Pelham in 1947 and sold in Toy Shops all over the world. 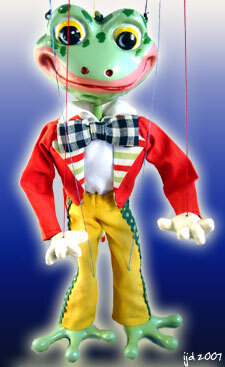 The vast majority of the puppets produced were 12-inch string puppets, but limited ranges of glove, rod and ventriloquist puppets were also produced, along with large display marionettes and specially commissioned or promotional figures in a wide variety of sizes (and weights), up to 7 feet tall. The Company remained in the Pelham Family ownership until it was sold in 1986 and subsequently ceased production in 1993. Pelham Puppets became incredibly popular, with production peaking in the mid-1960s, when around 225,000 puppets were being manufactured per year. 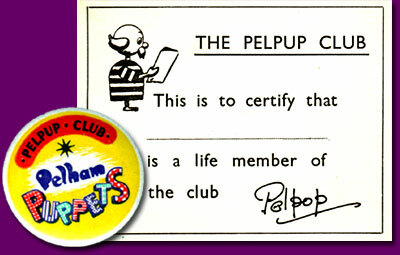 In 1950, Bob Pelham introduced "The Pelpup Club" for members to share their ideas and interests in everything to do with Pelham Puppets. 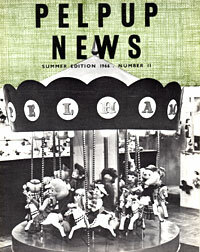 At first, Bob's Secretary hand-typed invitations to join the Pelpup Club and inserted one invitation in each puppet box. The Club eventually reached a membership of 40,000 by the 1970s. 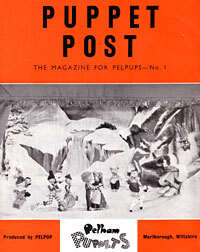 The Club Magazine - "Puppet Post", which later became "Pelpup News", had a playwriting competition, a photographic competition, letters from readers and many interesting articles and news items, along with photographs and illustrations. 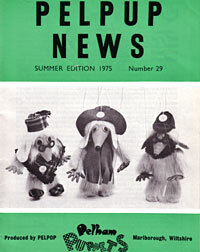 Reading the names of contributors to the letters pages of Pelpup News reveals many current luminaries of British Puppetry (and one Opera Singer). Contributors of articles included Jan Bussell, Ray DaSilva, Jane Phillips and Waldo Lanchester. Although primarily aimed at children, Pelham Puppets were well constructed (particularly those made in the 1950s and 60s) and were always painted and costumed to a very high standard. A vast number of different characters were produced over the years with dozens more prototype characters never reaching production. 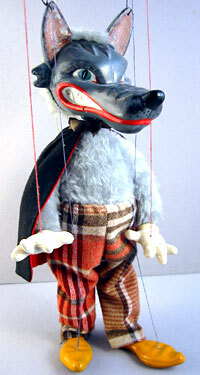 The puppets have become extremely collectable, in particular the 'Alice in Wonderland' characters. 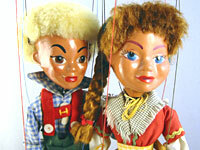 It has been estimated that approximately 8 million puppets were made during the lifetime of the Company. UPDATE: In October 2008, on the 60th Anniversary of Bob Pelham registering his Company as "Pelham Puppets Limited" a brand new range of Pelham Puppets were launched, along with a new website - THE HOME OF PELHAM PUPPETS - and a new book "Pelham Puppets" by David Leech, published by Crowood Press. 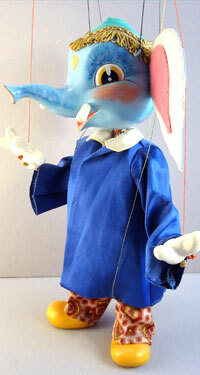 The new puppets are hand-made and hand-painted in the Pelham tradition.